Thank you for considering JK Automotive Volvo Specialists for your maintenance, service, or repair of your Volvo automobile. We are an ASE certified Independent Volvo Repair and Service Center. We have enjoyed a reputation as an honest, skilled, and trustworthy family business and Volvo service and repair center since 1969. Many of our customers have been with us since the beginning. We hope you’ll join them. How? How does a small business stay in business for 50 years? Integrity… Yes, JK Volvo Specialists’ provides highly skilled diagnostics, repairs and service for Volvos, but most importantly, we provide these services with ethics, honesty and integrity. 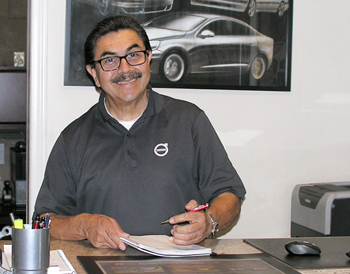 We are a family owned business and our integrity is a reflection fo the core family values that my father, John Kefalas – founder of JK Volvo Specialists – instilled in his family AND brings to the community.. As a result, we treat our customers like family – many of whom we’ve proudly served for decades. 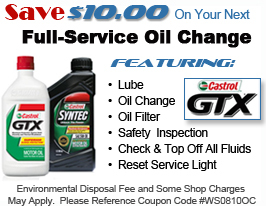 We are the, “honest mechanic” our friends recommend. We invite you to bring your Volvo to us, and get to know us. Enjoy the satisfaction of knowing that your Volvo is being well maintained and cared for -by a family you can trust. We believe it is in your best interest to preserve to quality of your Volvo automobile by choosing factory or original equipment parts. JK Volvo Specialists uses only factory-authorized parts. Why? We believe in assuring that your Volvo will perform with the safety and reliability Volvo intended, and that you expect! To ensure your safety, vehicle performance, and to protect your factory warranty, we encourage you to choose JK Volvo Specialists – an ASE certified Volvo auto repair and service center – and genuine Volvo factory-certified parts.